Need help paying for your JP Glassworks order using PayPal? Here you will find answers to the most common questions along with detailed steps on how to pay for your order. Do I need a PayPal account to make an order with JP Glassworks? No. You can checkout using PayPal without an account. See detailed instructions below on how to order without a PayPal account. 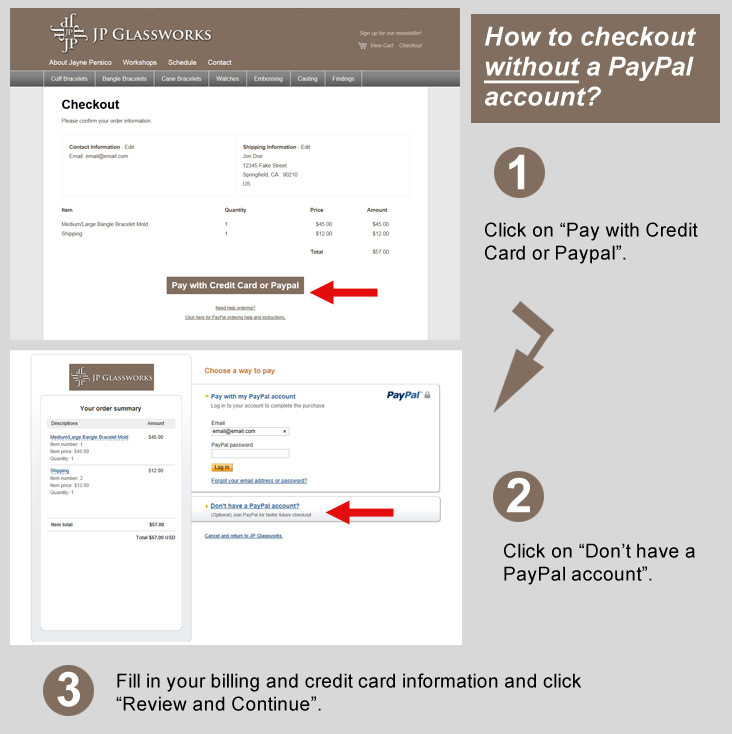 How do I checkout using my PayPal account on JP Glassworks? You can checkout using your PayPal account by following the detailed instructions below. This internet stuff is not for me. Can I checkout some other way? Yes. If you are having difficulties or would rather checkout without using the internet, please contact us to order by phone or mail order. 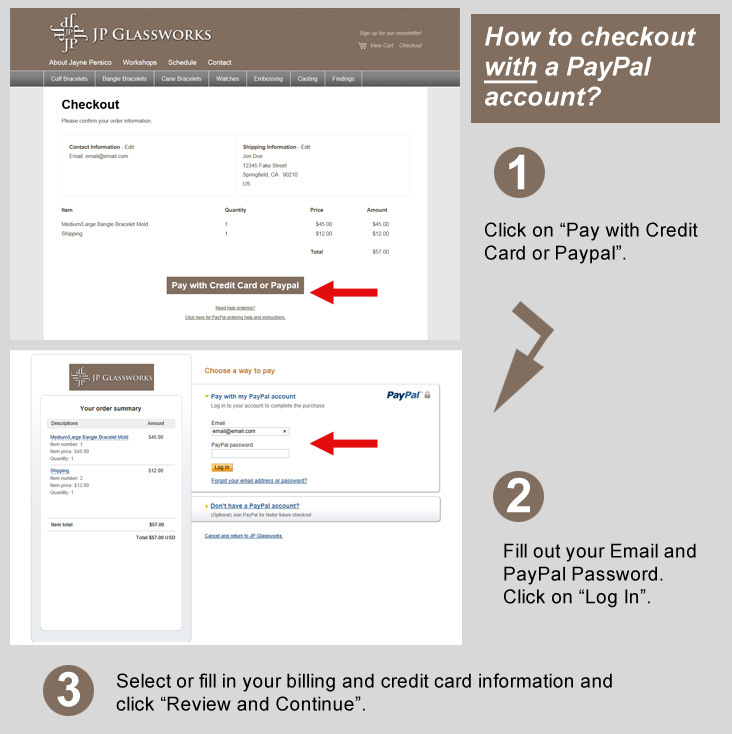 If you have any additional questions regarding how to checkout on JP Glassworks using PayPal, please contact us. Do you accept international orders outside of the US? Yes. However, we prefer to have international customers contact us with their order details so we can better assist them with accurate shipping costs outside of the US.